Keeping your hard drive clutter-free is essential to having a well run server. 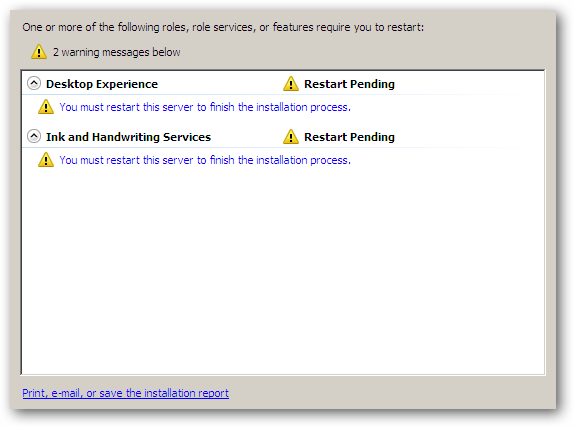 The tool to accomplish this is Disk Cleanup, but it is conspicuously missing in Server 2008… or is it? 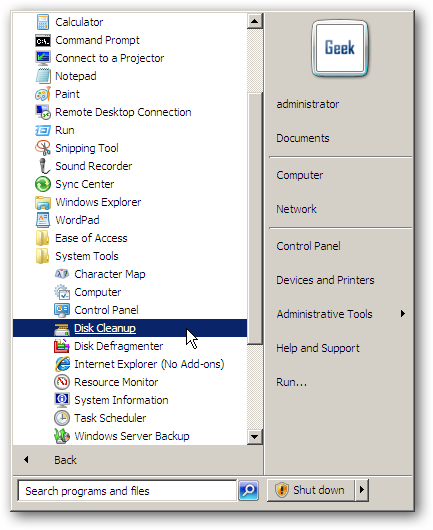 To enable Disk Cleanup, we’ll first open Server Manager by clicking on the Server Manager icon next to the Start button. 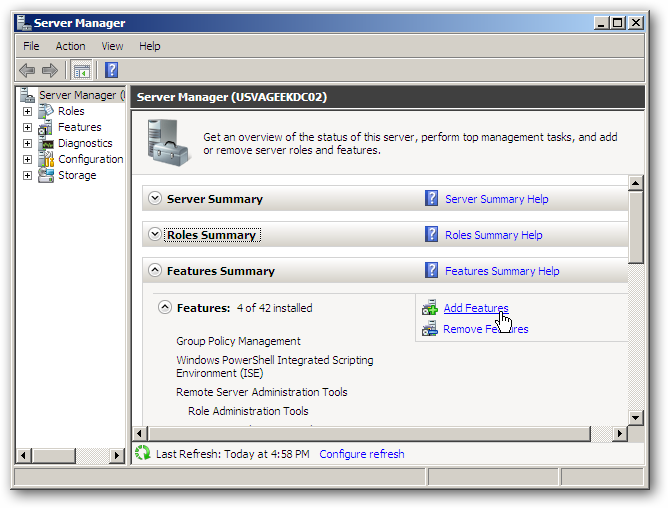 In Server Manager, scroll down to the Features section and click on Add Features in the upper right area. 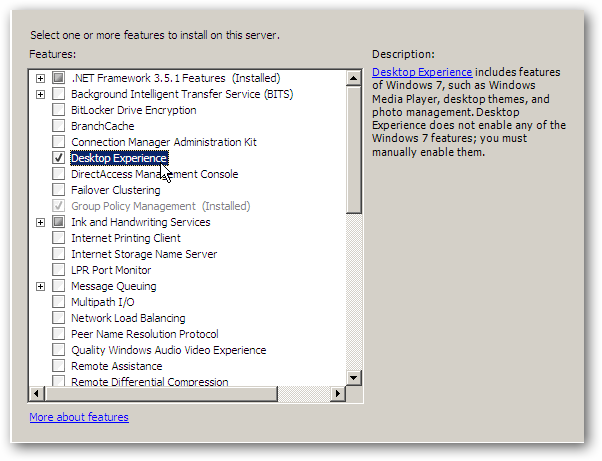 The Disk Cleanup tool is bundled into the Desktop Experience Feature, so we’ll check to install that. 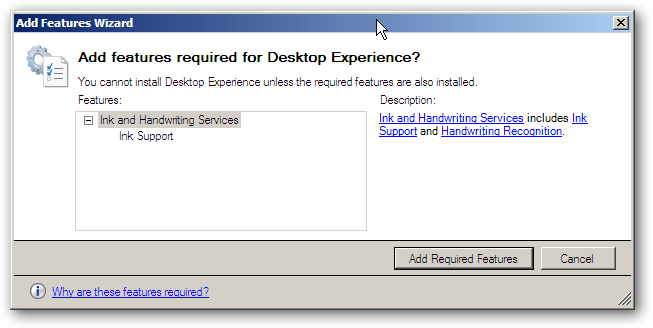 We haven’t previously added the Ink and Handwriting Services, so we get a popup window informing us that they are required in order to install Desktop Experience. We’ll click on Add Required Features to proceed. Next we’ll click the Install button and be on our way. Once the features have been installed, the system will need a reboot in order for the changes to take effect. We’re not sure why Microsoft decided to omit Disk Cleanup from Server 2008 by default, but at least it’s pretty easy to add back into the tools. Next we take a look at scheduling a disk cleanup.